اسلامی, هادی, غلمانی, سید وحید, صالحی وزیری, اکبر, حسین‌شاهی, داود, قلعه‌عسکری, سحر, طالبی همت آبادی, پروانه, معراجی‌مقدم, طاهره. (1394). مقایسه عملکرد برکه‌های تثبیت و تالاب مصنوعی با جریان زیر سطحی در تصفیه فاضلاب شهری در یزد. مجله آب و فاضلاب, 26(6), 100-106. هادی اسلامی; سید وحید غلمانی; اکبر صالحی وزیری; داود حسین‌شاهی; سحر قلعه‌عسکری; پروانه طالبی همت آبادی; طاهره معراجی‌مقدم. "مقایسه عملکرد برکه‌های تثبیت و تالاب مصنوعی با جریان زیر سطحی در تصفیه فاضلاب شهری در یزد". مجله آب و فاضلاب, 26, 6, 1394, 100-106. اسلامی, هادی, غلمانی, سید وحید, صالحی وزیری, اکبر, حسین‌شاهی, داود, قلعه‌عسکری, سحر, طالبی همت آبادی, پروانه, معراجی‌مقدم, طاهره. (1394). 'مقایسه عملکرد برکه‌های تثبیت و تالاب مصنوعی با جریان زیر سطحی در تصفیه فاضلاب شهری در یزد', مجله آب و فاضلاب, 26(6), pp. 100-106. اسلامی, هادی, غلمانی, سید وحید, صالحی وزیری, اکبر, حسین‌شاهی, داود, قلعه‌عسکری, سحر, طالبی همت آبادی, پروانه, معراجی‌مقدم, طاهره. مقایسه عملکرد برکه‌های تثبیت و تالاب مصنوعی با جریان زیر سطحی در تصفیه فاضلاب شهری در یزد. مجله آب و فاضلاب, 1394; 26(6): 100-106. فاضلاب از یک سو مهم‌ترین عامل آلودگی آب به‌شمار می‌رود و از سوی دیگر در صورت تصفیه با روشی مناسب می‌تواند به‌عنوان یکی از منابع جایگزین آب محسوب شود. این پژوهش با هدف مقایسه عملکرد برکه‌های تثبیت و تالاب مصنوعی زیر سطحی در تصفیه فاضلاب شهری در شهر یزد انجام شد. در این پژوهش تعداد 72 نمونه از ورودی و خروجی تالاب و 72 نمونه از ورودی و خروجی برکه‌های تثبیت به‌مدت یک سال برداشت شده و مورد آزمایش و مقایسه قرار گرفت. داده‌های به‌دست آمده نشان داد که راندمان حذف BOD5، COD، TSS، NH4-N، NO3-N و PO4 در برکه‌های تثبیت به ترتیب 7/79، 6/79، 4/44، 57، 0 و 5/42 درصد و در تالاب مصنوعی به‌ترتیب 8/80، 5/81، 7/77، 9/9، 34 و 4/59 درصد بوده است. نتایج نشان داد که راندمان حذف BOD5، COD، TSSو PO4 در فصل‌های پاییز و تابستان بیشتر از سایر فصول بوده است. بنابراین می‌توان گفت که تالابها هم از لحاظ کارایی و هم از لحاظ اقتصادی مقرون به صرفه‌تر از برکه‌های تثبیت هستند. Wastewater is one of the most important contributors to water pollution on the one hand, while it has the potential to serve as an alternative source of water if subjected to proper treatment, on the other. The present study was designed to compare the removal efficiencies of stabilization ponds and subsurface constructed wetlands in the treatment of urban wastewater in Yazd. For this purpose, 72 samples were collected at the inlet and outlet of a constructed wetland as well as 72 from the inlet and outlet of stabilization ponds over a period of one year. The samples were subjected to identical tests and the results were compared. The removal efficiencies for BOD5, COD, TSS, NH4-N, NO3-N, and PO4 in the stabilization ponds were 79.7, 79.6, 44.4, 57, 0, and 42.5 percent, respectively. The same parameters for the constructed wetland system were 80.7, 81.5, 77.7, 9.9, 34, and 59.4, respectively. Moreover, BOD5, COD, TSS, and PO4 removal efficiencies were higher in autumn and summer. From these results, it may be concluded that constructed wetlands are more commercially viable than stabilization ponds both in terms of performance and cost-effectiveness. 1. Phan-Van, M., Rousseau, and D., and De Pauw, N. (2008). “Effects of fish bioturbation on the vertical distribution of water temperature and dissolved oxygen in a fish culture-integrated waste stabilization pond system in Vietnam.” Aquaculture, 281(1-4), 28-33. 2. Vega, E., Lesikar, B., and Pillai, S.D. (2003). “Transport and survival of bacterial and viral tracers through submerged-flow constructed wetland and sand-filter system.” Bioresour. Technol., 89(1), 49-56. 5. Miranzadeh, M.B., Mahvi, A.H., Mesdaghinia, A.R., Naseri, S., and Vaezi, F. (2000). “Efficiency study for integrated stabilization pond (ISP) in municipal wastewater treatment.” KAUMS Journal ( FEYZ ), 4(1), 43-54. 6. Diaz, J., and Barkdoll, B. (2006). “Comparison of wastewater treatment in developed and developing countries.” in World Environmental and Water Resource Congress, ASCE, 1-10. 7. Cheng, X.Y., Liang, M.Q., Chen, W.Y., Liu, X.C., and Chen, Z.H. (2009). “Growth and contaminant removal effect of several plants in constructed wetlands.” Journal of Integrative Plant Biology, 51(3), 325-335. 8. Shahi, D.H., Ebrahimi, A., Esalmi, H., Ayatollahi, S., and Dashty, N. (2012). “Efficiency of straw plants in removal of indicator pathogens from sub surface flow constructed wetlands of municipal wastewater in Yazd, Iran.” Journal of Health and Development, 1(2), 147-155. 9. Mburu, N., Tebitendwa, S. M., Rousseau, D. P. L., Van Bruggen, J. J. A., and Lens, P. N. L. (2013). “Performance evaluation of horizontal subsurface flow-constructed wetlands for the treatment of domestic wastewater in the tropics.” Journal of Environmental Engineering (United States), 139(3), 358-367. 10. Kayombo, S., Mbwette, T. S. A., Mayo, A. W., Katima, J. H. Y., and Jorgensen, S. E. (2000). “Modelling diurnal variation of dissolved oxygen in waste stabilization ponds.” Ecological Modelling, 127(1), 21-31. 11. Prochaska, C.A., Zouboulis, A.I., and Eskridge, K.M. (2007). “Performance of pilot-scale vertical-flow constructed wetlands, as affected by season, substrate, hydraulic load and frequency of application of simulated urban sewage.” Ecological Engineering, 31(1), 57-66. 12. Tsagarakis, K., Mara, D., Horan, N., and Angelakis, A. (2000). “Small municipal wastewater treatment plants in Greece.” Water Science and Technology, 41(1), 41-48. 13. Tsalkatidou, M., Gratziou, M., and Kotsovinos, N. (2009). “Combined stabilization ponds-constructed wetland system.” Desalination, 248(1-3), 988-997. 14. Scholz, M., and Xu, J. (2002). “Comparison of constructed reed beds with different filter media and macrophytes treating urban stream water contaminated with lead and copper.” Ecological Engineering, 18(3), 385-390. 15. Machibya, M., and Mwanuzi, F. (2006). “Effect of low quality effluent from wastewater stabilization ponds to receiving bodies, case of Kilombero sugar ponds and Ruaha river, Tanzania.” International Journal of Environmental Research and Public Health, 3(2), 209-216. 16. Bastos, R.K.X., Calijuri, M.L., Bevilacqua, P.D., Rios, E.N., Dias, E.H.O., Capelete, B.C., and Magalhães, T.B. (2010). “Post-treatment of UASB reactor effluent in waste stabilization ponds and in horizontal flow constructed wetlands: A comparative study in pilot scale in Southeast Brazil.” Water Science and Technology, 61(4), 995-1002. 17. Tsagarakis, K. P., Mara, D. D., and Angelakis, A. N. (2003). “Application of cost criteria for selection of municipal wastewater treatment systems.” Water, Air, and Soil Pollution, 142(1-4), 187-210. 18. Rousseau, D. P. L., Lesage, E., Story, A., Vanrolleghem, P. A., and De Pauw, N. (2008). “Constructed wetlands for water reclamation.” Desalination, 218(1-3), 181-189. 19. Sato, N., Okubo, T., Onodera, T., Agrawal, L.K., Ohashi, A., and Harada, H. (2007). “Economic evaluation of sewage treatment processes in India.” Journal of Environmental Management, 84(4), 447-460. 20. Mara, D., Drangert, J. O., Nguyen, V. A., Tonderski, A., Gulyas, H., and Tonderski, K. (2007). “Selection of sustainable sanitation arrangements.” Water Policy, 9(3), 305-318. 21. Mara, D. D. (2006). “Constructed wetlands and waste stabilization ponds for small rural communities in the United Kingdom: A comparison of land area requirements, performance and costs.” Environmental Technology, 27(7), 753-757. 22. Babu, M.A., Hes, E.M.A., Van Der Steen, N.P., Hooijmans, C.M., and Gijzen, H.J. (2010). “Nitrification rates of algal-bacterial biofilms in wastewater stabilization ponds under light and dark conditions.” Ecological Engineering, 36(12), 1741-1746. 23. Olukanni, D. O., and Ducoste, J. J. (2011). “Optimization of waste stabilization pond design for developing nations using computational fluid dynamics.” Ecological Engineering, 37(11), 1878-1888. 24. Belila, A., Abbas, B., Fazaa, I., Saidi, N., Snoussi, M., Hassen, A., and Muyzer, G. (2013). “Sulfur bacteria in wastewater stabilization ponds periodically affected by the ‘red-water’phenomenon.” Applied Microbiology and Biotechnology, 97(1), 379-394. 25. Kehl, O., Wichern, M., Lübken, M., and Horn, H. (2009). “Analysis of design approaches for stabilization ponds under different boundary conditions-A comparison.” Ecological Engineering, 35(8), 1117-1128. 26. Beran, B., and Kargi, F. (2005). “A dynamic mathematical model for wastewater stabilization ponds.” Ecological Modelling, 181(1), 39-57. 27. Amengual Morro, C., Moyà Niell, G., and Martínez Taberner, A. (2012). “Phytoplankton as bioindicator for waste stabilization ponds.” Journal of Environmental Management, 95, 571-576. 28. Thurston, J., Foster, K., Karpiscak, M., and Gerba, C. (2001). “Fate of indicator microorganisms, giardia and cryptosporidium in subsurface flow constructed wetlands.” Water Research, 35(6), 1547-1551. 29. 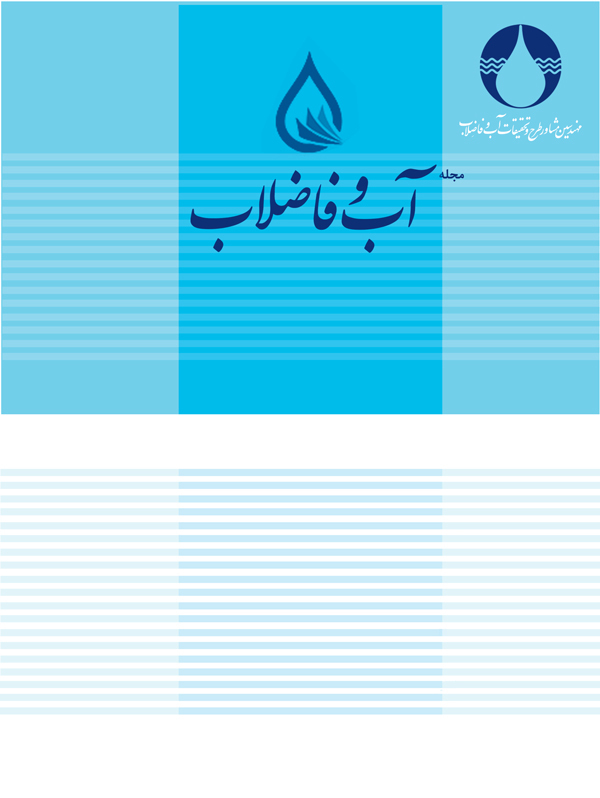 Shahi, D. H., Eslami, H., Ehrampoosh, M. H., Ebrahimi, A., Ghaneian, M. T., Ayatollah, S., and Mozayan, M. R. (2013). “Comparing the efficiency of Cyperus alternifolius and Phragmites australis in municipal wastewater treatment by subsurface constructed wetland.” Pakistan Journal of Biological Sciences, 16(8), 379-384. 30. Armstrong, W., Cousins, D., Armstrong, J., Turner, Dw., and Beckett, P.M. (2000). “Oxygen distribution in wetland plant roots and permeability barriers to gas-exchange with the rhizosphere: A microelectrode and modelling study with Phragmites australis. ” Annals of Botany, 86(3), 687-703. 31. Nwuche, C.O., and Ugoji, E.O. (2008). “Effects of heavy metal pollution on the soil microbial activity." Int. J. Environ. Sci. Tech, 5(3), 409-414. 32. Nwuche, C.O., and Ugoji, E.O. (2010). “Effect of co-existing plant specie on soil microbial activity under heavy metal stress.” International Journal of Environmental Science and Technology, 7(4), 697-704. 33. Sanaei, A., Azimi, A.A., Mehrdadi, N., and Reeisi, H. (2009). “Combination of improved anaerobic pond and constructed subsurface wetland for domestic wastewater treatment.” Proceedings of the 1st Conference of Wetland in Kermanshah, Kermanshah, Iran. 34. Belmont, M.A., Cantellano, E., Thompson, S., Williamson, M., Sánchez, A., and Metcalfe, C.D. (2004). “Treatment of domestic wastewater in a pilot-scale natural treatment system in central Mexico.” Ecological Engineering, 23(4), 299-311. 35. Mburu, N., Sanchez-Ramos, D., Rousseau, D.P., Van Bruggen, J.J.A., Thumbi, G., Stein, O.R., and Hook, P.B, (2012). “Simulation of carbon, nitrogen and sulphur conversion in batch-operated experimental wetland mesocosms.” Ecological Engineering, 42, 304-315. 36. Knight, R.L., Kadlec, R.H., and Ohlendorf, H.M. (1999). “The use of treatment wetlands for petroleum industry effluents.” Environmental Science and Technology, 33(7), 973-980. 37. Yu, H., Tay, J.H., and Wilson, F. (1997). “A sustainable municipal wastewater treatment process for tropical and subtropical regions in developing countries.” Water Science and Technology, 35(9), 191-198. 38. Gemitzi, A.L., Tsihrintzis, V.A., Christou, O., and Petalas, C. (2007). “Use of GIS in siting stabilization pond facilities for domestic wastewater treatment.” Journal of Environmental Management, 82(2), 155-166. 39. Zimmo, O. R., Van Der Steen, N. P., and Gijzen, H. J. (2003). “Comparison of ammonia volatilisation rates in algae and duckweed-based waste stabilisation ponds treating domestic wastewater.” Water Research, 37(19), 4587-4594. 40. Del Nery, V., Damianovic, M.H.Z., Pozzi, E., De Nardi, I.R., Caldas, V.E.A., and Pires, E.C. (2013). “Long-term performance and operational strategies of a poultry slaughterhouse waste stabilization pond system in a tropical climate.” Resources, Conservation and Recycling, 71, 7-14.